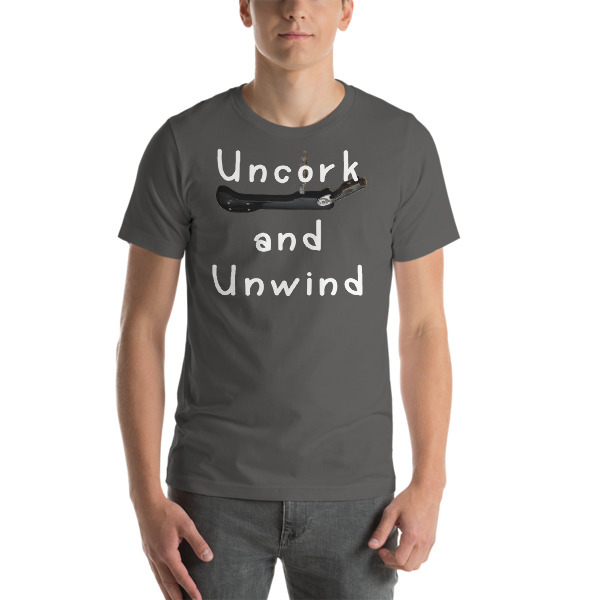 All it takes is popping a cork to unwind! Bella + Canvas 3001 Unisex Short Sleeve Jersey T-Shirt. This t-shirt is everything you’ve dreamed of and more. It feels soft and lightweight, with the right amount of stretch. It’s comfortable and flattering for both men and women.